Missouri's nickname is the "Show-Me State," because of their strong adherence to simple common sense. Nowhere is this more apparent than in the higher education system. Missouri private colleges go of their way to provide their students with a strong, fundamental, practical education; no matter what field or discipline one is pursuing. By graduating from one of Missouri's private colleges, you will be well equipped to handle any number of occupations and career options. Missouri private colleges and universities offer a wide range of education programs with degrees and certificates up to the doctoral level, as well as professional degrees such as law and medicine. There are 90 colleges in Missouri, 36 public and 54 private, offering a wide range of programs and majors. These Missouri private colleges are diverse in character, academic emphasis, and origins. Some private colleges or schools have a religious affiliation; others are secular. Private colleges and universities may be profit or non-profit institutions. Typically, Missouri independent colleges or private schools give weight to personal characteristics and activities in addition to considering GPA and test scores. The largest being Washington University in St Louis with 12,116 full time students. 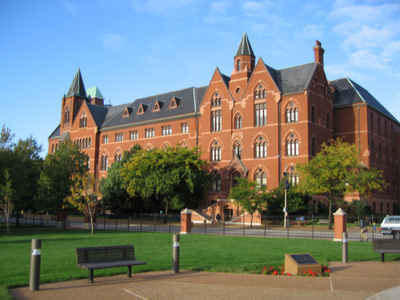 Washington University in St Louis is the most expensive with an in-state tuition of $42,500. On average, how much does it costs to attend private college in Missouri? The average annual in-state private college tuition in Missouri is $17,446 in 2013. (4) work with public postsecondary education when projects or legislation give evidence of benefiting independent and public colleges and universities.